Is this a good cosmetic? I have decided to attempt a new “topic” on this blog: I will still be talking about cosmetics but not only from the point of view of the “do it yourself”! The thing is that I don’t believe that making these cosmetics at home (I mean, those I have published here, like creams, serums, shampoos, soaps…) is anything particularly difficult. However, what I noticed among many of my friends, is that often they see what I do as something IMPOSSIBLE to learn. Therefore, for those of you who don’t feel yet confident to start making cosmetics at home, you will be able to go to your local market and purchase an already made shampoo, or a cream, or a serum… finally knowing what you are applying on your face! I would like to teach you how to be able to choose without listening to the advertising of the cosmetic, but rather with being able to recognize what’s inside. But I have to WARN YOU!!! 1) I am not an “all natural” nazi: I will talk about natural and synthetic ingredients, how to spot (or at least try to spot) if a cosmetic was formulated well or not… but I want to make clear that since every skin is different, if your skin has always been perfect even at using daily silicon foundation… I don’t see why you should stop using silicon foundation 😀 that’s it! This said… I go now! Posted on 03/02/2014 29/03/2016 Categories INCI, Inspiration, TheoryTags cosmetic ingredients1 Comment on Is this a good cosmetic? 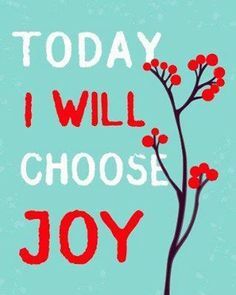 Today I will choose JOY! Posted on 09/07/2013 29/03/2016 Categories InspirationTags inspirationLeave a comment on Today I will choose JOY! I am in love with this and this blogs will probably become my personal sum up of what I learn. However, I do need to point out where I have been learning most of what I write here, because without these few websites I couldn’t definitely even imagine where to start from! But after reading that page I felt more confused than before: I never thought it was possible to make a lotion at home BUT at the same time, reading what I was supposed to do, reading about Phase A, B and C… as a first reaction I got confused and I felt like it was too difficult for me. I found a forum in Italian all about cosmetics! The people on this forum are very nice, helpful AND they share a lot of knowledge totally for free! None of my recipes is copied and in case I will ever copy a recipe I will, obviously, post the source (and, if possible, ask for the permission to the owner). However the meaning of this post about my sources is that, if it wasn’t for L’angolo di Lola, I wouldn’t probably be in any way able to put together any of these recipes!